Barbeque Nation has finally made its way to our shores, opening its first outlet in the heart of Bukit Bintang. Located on Level 9, the establishment takes on the concept of DIY that allows diners to choose their favourite dishes from a wide range of buffet spreads featuring mouthwatering selections of meat and vegetarian delights. Apart from that, diners are spoilt for choice with a tantalising array of grilled skewers. If this is your first time here and you’re unsure where to begin, read on for our top picks. Marinated in piri-piri sauce for at least 24 hours, the chucky pieces are grilled to create a charred and crispy exterior while the flesh remains tender and juicy. Squeeze in a slice of lime to add a little bit of zing to balance out the flavours. 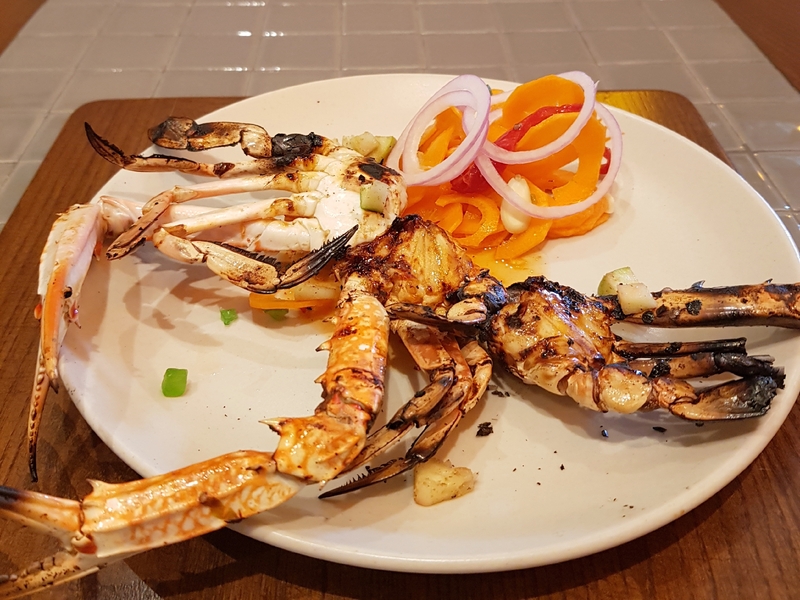 If you crave for juicy grilled grab, opt for their Grilled Chilli Garlic Crab. The meaty crustaceans spend a good time on the grill to bring out the sweetness of the meat before being doused with fresh garlic and a tangy-spicy sauce for a fiery kick. 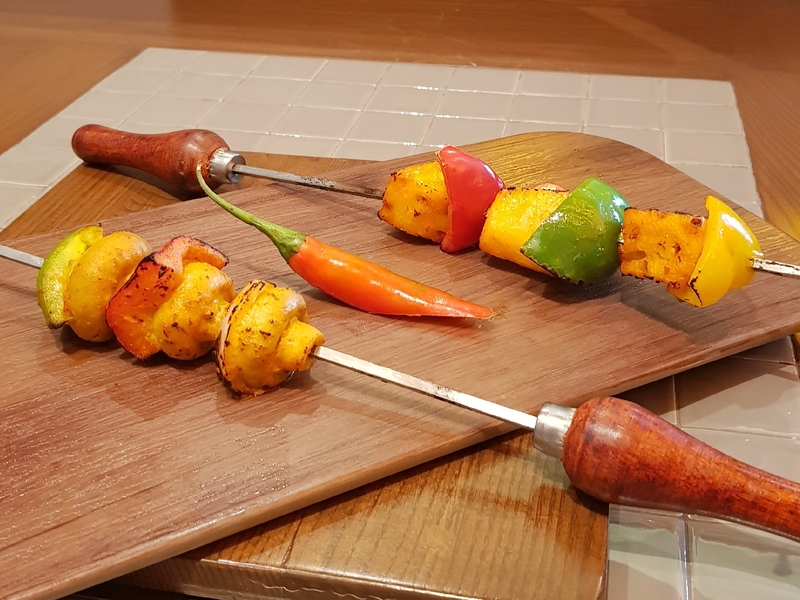 Treat yourself to an assortment of skewered meat and vegetables that are secured on a spit and roasted over an open flame. 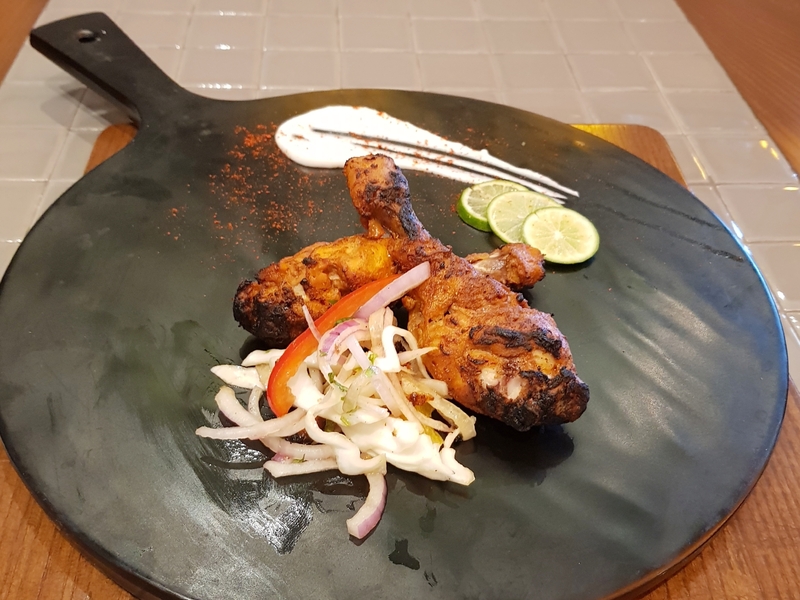 Choose from a variety of meats – Grilled Caribbean Jerk Prawns or Chicken Satay – or go meat-free with Mexican Mushroom and Honey Chilli Barbeque Pineapple skewers. Once you’re done grilling your skewers, dip them into any of the three sauces on your table – spicy peanut dip, creamy walnut dip and barbeque sauce. 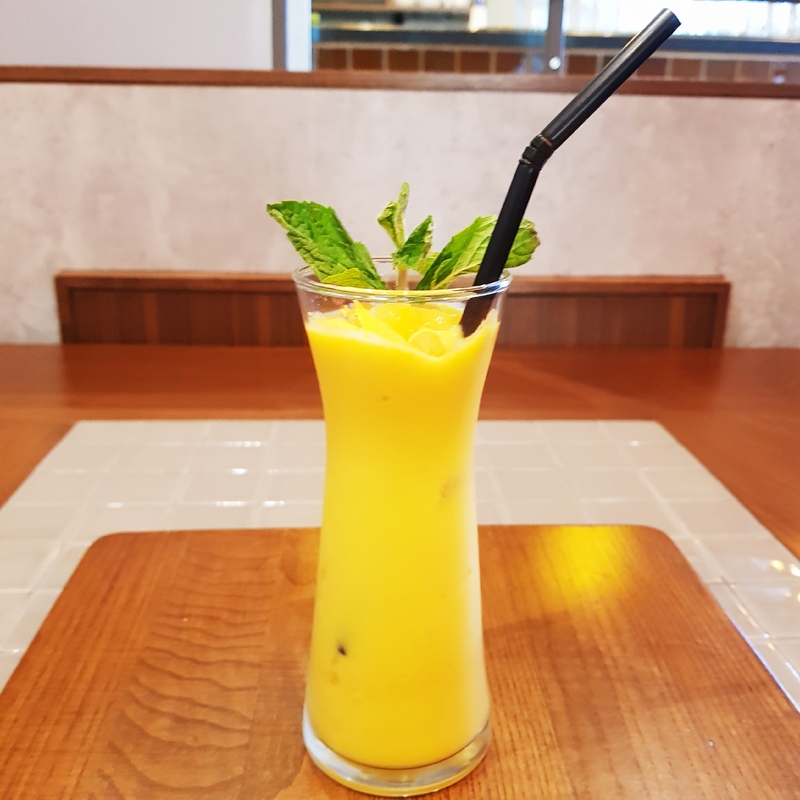 Wash down your meal with an icy mango lassi with just the right amount of sweetness. The crowd-favourite drink blends mango pulp into a smooth and creamy shake for a cooling sensation. 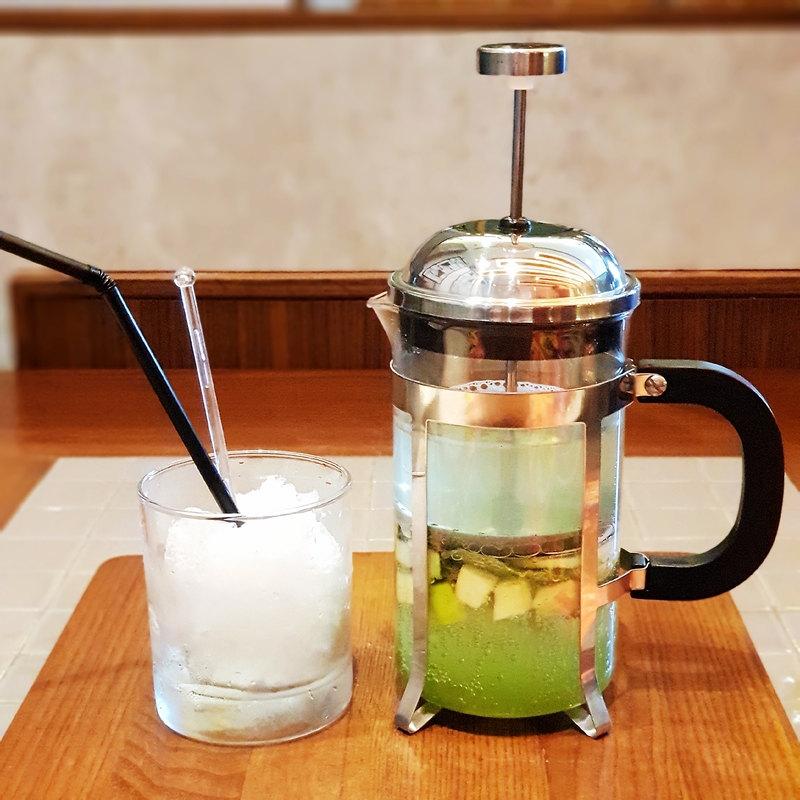 Sip on Eve’s Apple, a mocktail that is loaded with green apple chunks and spiked with fresh mint, lime and lemonade for a refreshing taste. We end our meal with a sweet note with crepe that is set to tickle your taste buds. 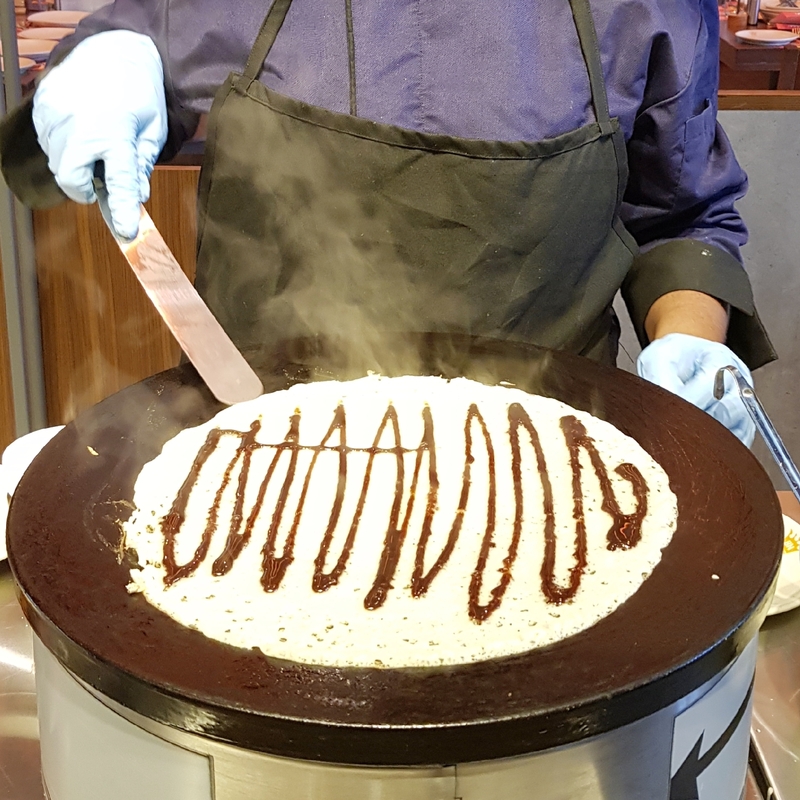 Make your way to the crepe station, choose your favourite toppings and watch the chefs preparing your dessert hot off the griddle. If the selections are too overwhelming, we recommend going for the winning combination of blueberry and Nutella hazelnut spread.